MoAD Presents: A Conversation ..
Over the past decade, academia, media and popular culture has given more attention to the sartorial expressions of people of African descent across the globe. 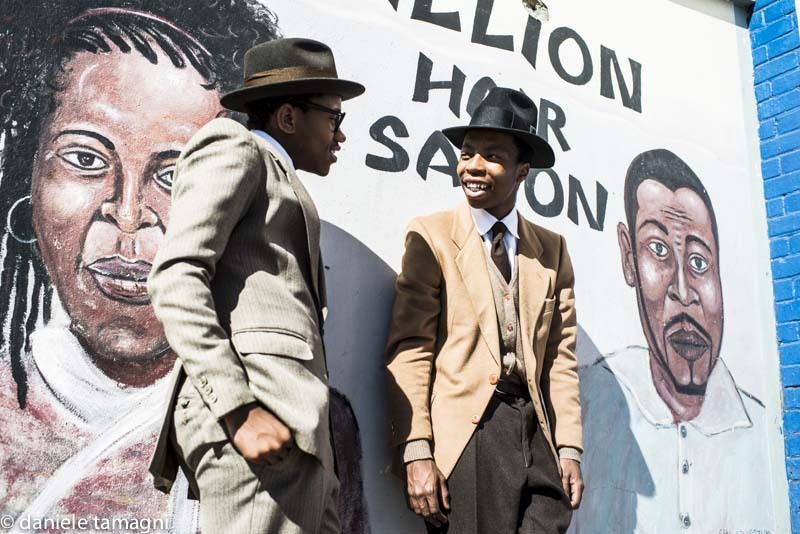 More particularly, at the intersection between Black dandyism, street style and photography, conversations have increased in exploration of African Diasporan identity and realities. As social media and the increased travel of Black millennials continues to defy borders, a new form of Pan-Africanism and African-centered politic is on the rise. We’re in an exciting moment, transnationally, where presuppositions regarding Blackness, its aesthetics, cultures, and global impact are being challenged, (re)claimed, queered, and expanded. This historic juncture has produced a burgeoning renaissance in thought, social and cultural movements, Black embodiment, representation, and style that calls for unique gathering and meeting of the minds. In celebration of The Dandy Lion Project’s European premiere, the exhibition’s curator, Shantrelle P. Lewis, symposium co-organizer Hakim Pitts and the Brighton Photo Biennial staff invite you to submit papers, workshops, and panel proposals for this interactive and interdisciplinary gathering. This symposium is not limited to academic discussions between artists, scholars and curators. On the contrary, we extend invitations to writers, bloggers, public intellectuals, journalists, activists, fashion critics, pop culturalists, and other brilliant thinkers. Abstracts should be no longer than 300 words and should be accompanied by a presenter bio 150 words or less. The deadline for submissions: Friday, 09 September 2016. Date for notification of acceptance: Friday, 16 September 2016. Please note, upon acceptance, all presenters are responsible for arranging their own travel and accommodation.